The most beautiful shade of purple you will ever see! Stunning Sequin overlay bodice, covered in genuine swarovski crystals, each heat sttby hand. Depending on size there is between 100-200+ crystals. 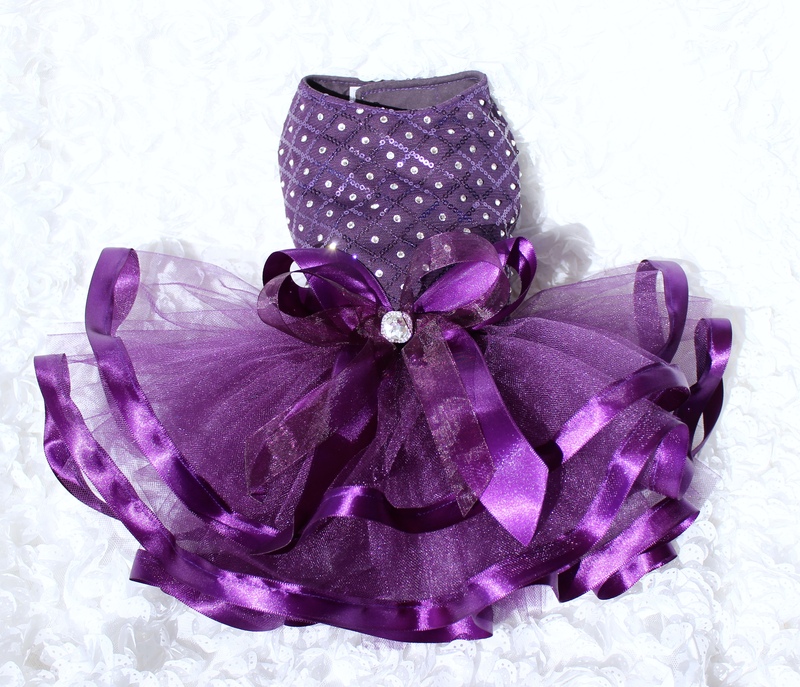 Skirt is trimmed in ribbon and dress is topped off with gorgeous boutique style bow with large crystal center. Ribbon bow is treated to keep from fraying and bodice is full lined. D-ring can be added for leash clip. This dress is fit for royalty! 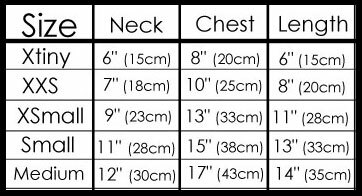 *The size chart is a guideline used mostly for pricing. This design is made when it is ordered. Choose the closest size to the GIRTH measurements you need and then give me actual measurements in the notes section on the checkout page.